Watching people playtest Reality Invasion was always interesting and sometimes hilarious. 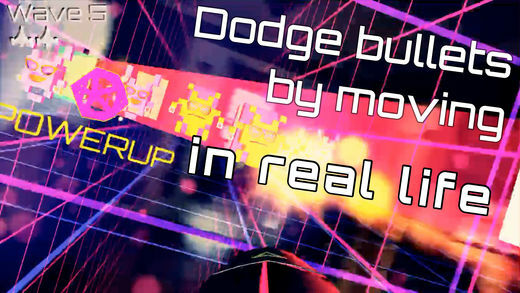 There is this moment where the player realizes that they have to move their bodies in order to dodge the enemy missiles. Some players casually strafe but others run around the room like they’re crazy. It has been fun to watch. 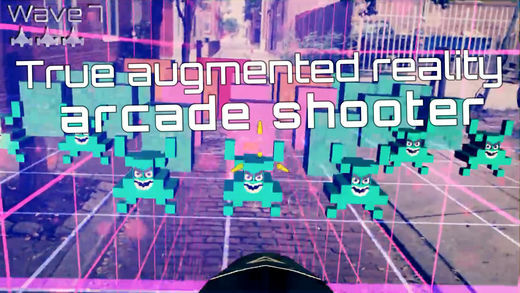 Reality Invasion is an augmented reality shooter inspired by Space Invaders. 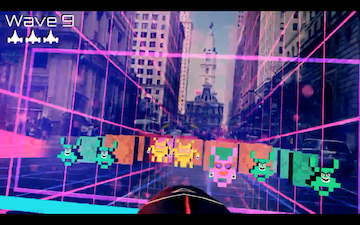 I wanted to design an intense augmented reality action game that would be grounded in something familiar. 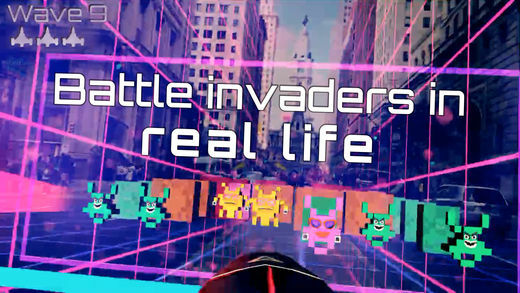 In Reality Invasion you are confronted with rows of alien invaders that march toward you while steadily firing missiles. Unlike Space Invaders, you can shoot directly at the invaders and the invaders shoot directly at you. This makes it an immersive first-person experience which augmented reality is great for. The design for Reality Invasion evolved over time. 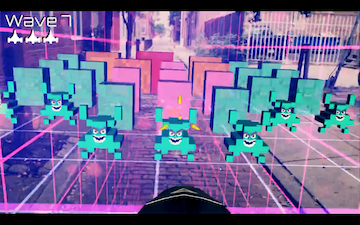 The first beta versions of the game had 4 walls the player could hide behind just like in Space Invaders. When I playtested this though I saw that players spent a lot of their time hiding behind the walls. Once I got rid of the walls things got interesting. Players were now in a constant state of moving and shooting. It was much more fun. Once the player gets the hang of it they effortlessly dodge the basic missiles by casually strafing side to side. I wanted to keep players active and moving so I designed some invaders to fire missiles the size of a large chair. It’s insane. I’ve seen players run into walls and others collapse on the floor attempting to dodge these missiles. Players, be aware of your surroundings. An arcade game like this is not complete without incredible power-ups. The design for the Mega Missile was my favorite. When a player walks into a yellow Mega Missile power-up they are able to fire a gigantic fireball that swallows enemy bullets and destroys columns of enemies. I wanted to balance out the difficulty of the game by making overpowered power-ups like the Mega Missile. 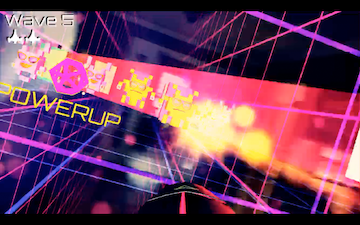 The Slowdown power-up slows down time which gives the player the feeling of real-life bullet time. If you haven’t played it yet and if you have an iPhone that can run it (iPhone 6s or greater) make sure to check it out. It’s free to play because I want as many people to enjoy it as possible. This article was Published by Edamame Reviews, Written by the Fall Damage Games Team.